The Denver-based agency has worked with Chipotle for years, but the brand recently widened its scope of work nationally. DENVER: Chipotle Mexican Grill has enlisted Linhart PR to handle national field marketing PR, the chain confirmed on Friday. Following an RFP process that took place earlier this year, Linhart was selected to support Chipotle in this new national field marketing PR role on June 1. 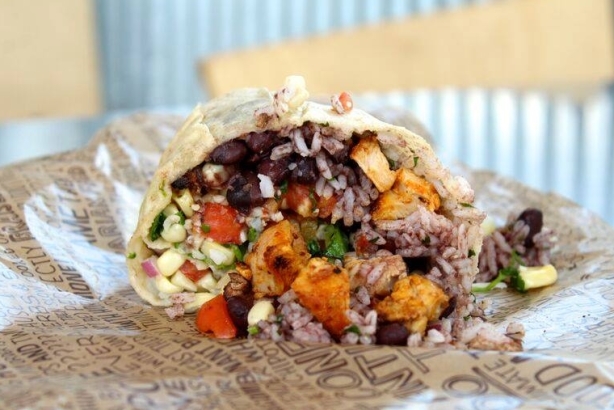 Linhart, which shares a home city of Denver with Chipotle, has supported the burrito chain’s local market activities regionally since 2002, Chipotle communications director Chris Arnold said via email. However, its responsibilities for the brand were broadened nationally. "They are doing the same thing now, but with an expanded geographic scope," Arnold added. He did not comment on the firm’s specific duties. Linhart’s role includes supporting Chipotle’s field marketing team and regional brand marketing strategies in all restaurant markets nationwide, the firm’s SVP and partner Paul Raab said via email. "This includes, but is not limited to, helping to open new restaurants and also helping to create and support programming that will drive brand awareness and education, and traffic into restaurants, in focus markets nationwide," Raab said. Linhart was previously one of four firms handling Chipotle’s field marketing PR work, focusing on one region versus all markets from coast to coast. "Chipotle’s decision to consolidate from four firms to one was made in an effort to drive consistent results, leverage best practices, and deliver marketing efficiencies," said Raab. "Chipotle selected Linhart PR due to its nearly 15-year track record of collaboration with the fast-casual restaurant trailblazer." Kelly Janhunen, a partner and senior account director at Linhart PR, is leading the firm’s account team. Budget information was not disclosed. Chipotle’s PR AOR is Burson-Marsteller, which it hired in March after splitting with previous agency partner Edelman last fall due to a client conflict. This week, Chipotle placed chief marketing and development officer Mark Crumpacker on administrative leave following an indictment by Manhattan prosecutors involving the executive and a cocaine drug ring. The company assigned Crumpacker’s responsibilities to other senior managers in his absence. The fast-food chain is also launching the Chiptopia Summer Rewards program on Friday. Its debut comes as the company continues to try to win back customers scared off by E. coli and other food-safety issues that have hindered its sales since late last year. The first quarter of 2016 marked the first period in which Chipotle reported a loss, with same-store sales down 30% from the prior year and a net loss of $26.4 million. This story was updated on July 1, 2016 with comment from Paul Raab.